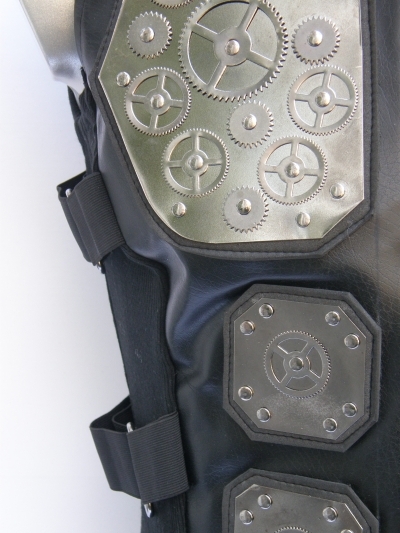 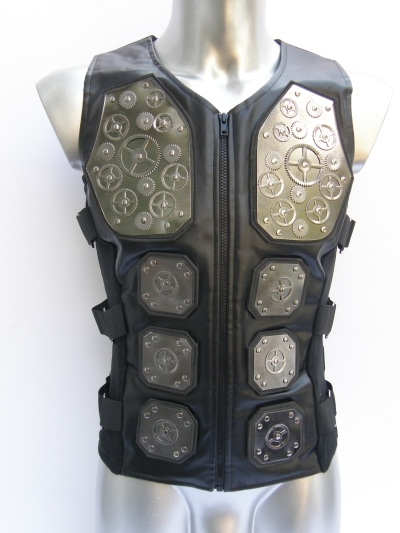 Metal body armour top with cogs and zipper. 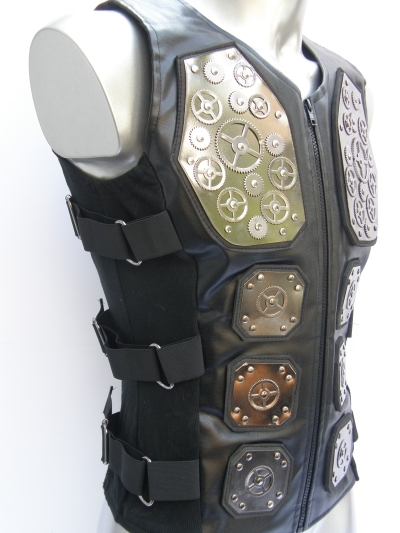 It has elasticated straps with adjustable buckles and stretchy side panels. 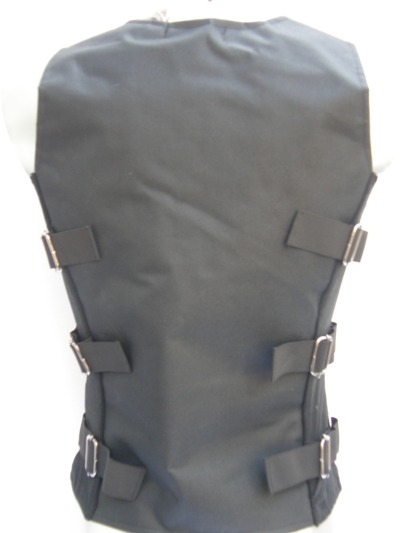 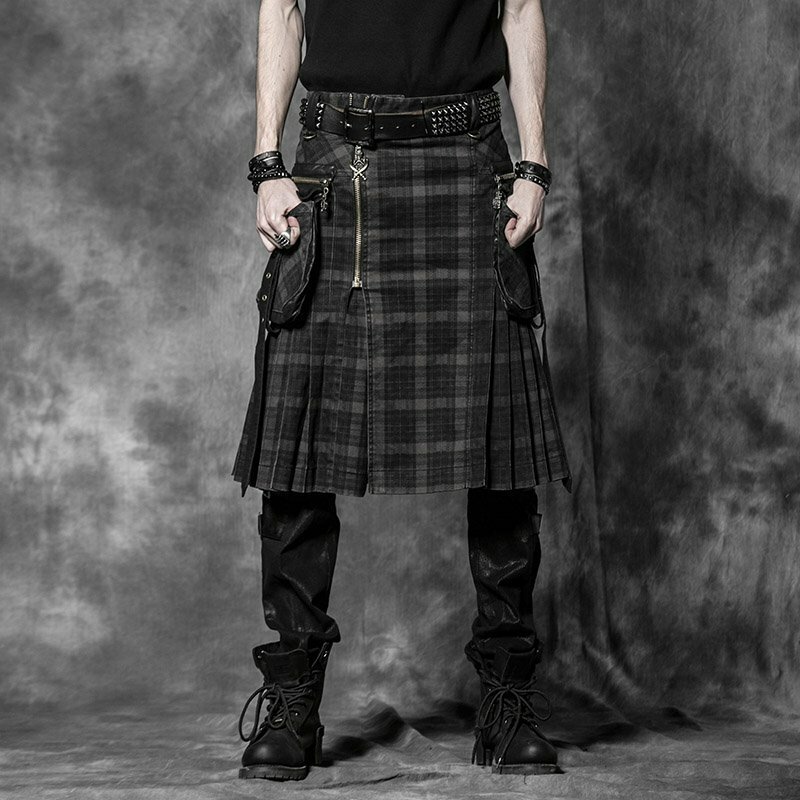 With plain black nylon fabric at the back and black leather look fabric at the front. 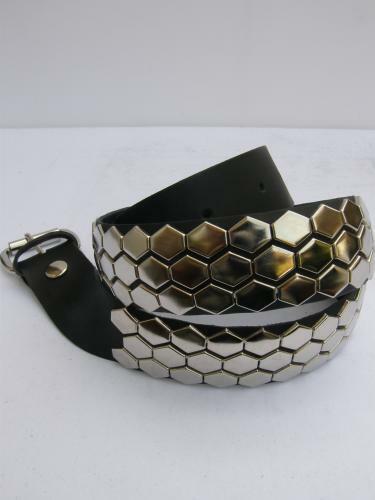 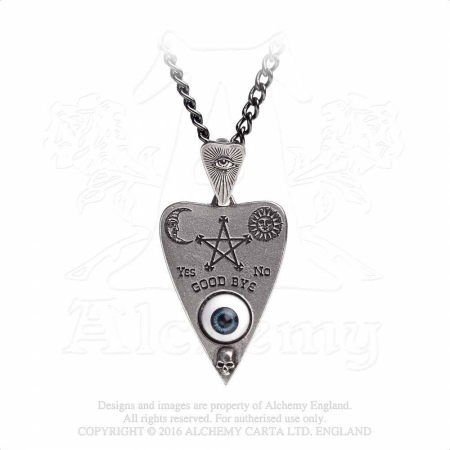 The regular price of this item was euro 129.95.